Strategy Beyond the Hockey Stick is about unlocking big moves — because that is what it takes to beat the odds in business. Anchored in empirical evidence from thousands of companies, it reveals what really matters — and what does not — for exceptional performance. Chris Bradley, Sven Smit and Martin Hirt, all leaders in McKinsey's Strategy Practice, offer practical advice on how to change the dynamics in your strategy room and make the right strategic moves. 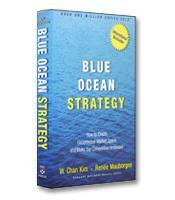 Most business books about the strategic planning process follow the same approach. 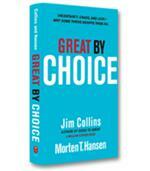 They offer a series of case studies about how individual companies achieved success using unique best practices (that you are encouraged to follow), with a few anecdotes thrown in to illustrate that the journey was tough but rewarding. The three authors of Strategy Beyond the Hockey Stick (all leaders in McKinsey’s Strategy Practice) have chosen a different path. They present “broad and deep empirical research” that looks beyond the homogeneity of most 150-plus PowerPoint slide presentations that make up a traditional strategic planning session. The problem, they argue, is not “the dreaded hockey stick” that inevitably shows up in every presentation, forecasting an initial dip in next year’s budget (reflecting initial expenses) followed by future success. The villain is “the social side of strategy.” The bleak reality of most strategy sessions is highly colorful PowerPoint slides that present aggressive and inventive five-year plans. The first-year budget is immediately trimmed on the assumption that the original numbers were “sandbagged” (inflated in anticipation of being trimmed). Individual agendas then come into play as managers scramble to preserve existing resources or, better still, grab new resources while pushing the deadline for the measurement of actual performance as far down the road as possible. The result is “peanut butter,” where budget dollars end up being spread thinly across all approved initiatives, even though it is clear that some will need more dollars than others. This is the dilution imposed by the social side of strategy. The authors are quick to point out that none of these practices has anything to do with promoting a new way of conducting business. It’s all about preserving rank, jobs, individual fiefdoms, and established processes that have been put in place to further entrench the status quo while promising major performance improvements. The authors suggest that technology can now provide enough detailed operational data to analyze past performance and forecast accurate odds of future success –– and yet the hockey stick persists. With so much effort devoted to jockeying for power and resources during the strategy process, no one pays attention to the cumulative effect of poor decision-making. Hold regular strategy dialogues instead of just using an annual process. Incorporate time to debate real alternatives, rather than simply making yes-or-no decisions. Fund “big moves” that include “tear downs” of past results, rather than simply funding the first-year dip of the hockey stick. Challenge “budget inertia” by making 80 percent of the approved dollars noncontestable. This will restrict any subsequent haggling to the remaining 20 percent of budget dollars. Undermine “sandbagging” by assigning risk scores to each proposed move. Incorporate probabilities of success while encouraging noble failures in pursuit of aggressive moves. Instead of focusing on the first year’s budget for a three- or five-year plan, focus on the first step, and then establish future performance metrics in six-month increments. 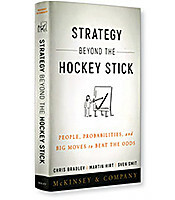 Strategy Beyond the Hockey Stick offers pragmatic, data-driven solutions to a pervasive problem, without reducing the material to sound bites and generic templates. The authors manage to maintain a sense of humor in the face of often depressing data points, concluding with eight remarkably simple steps for transformation. 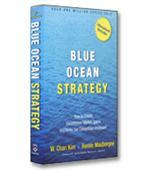 If you’re already dreading your next strategic planning presentation, this book will definitely offer some inspiration.